Over the years we’ve handled the smallest watch parts to the most complex aviation components; the thinnest of valve reeds to the largest and roughest of engineering components, bringing a shine to hundreds of varied surfaces (and a smile to every manager’s face!). Each time a new customer comes to us, we study and understand, we consult our database of over 25,000 diverse case studies, we conduct trials and research in our advanced R & D lab, and devise a tailor made solution for you. Our team of application engineers located across top 10 industrialized cities ensures speedy assistance. So whether it’s a spare part you need or an entirely new machine, whether you require a mere replenishment of your media and chemicals or a solution to a process application problem, we are always there for you. Switchgear Fittings Turbine Blades Watch Parts. Can use for dry process. In process inspection not possible. Separation of parts from media is cumbersome. Faster processing than hexagonal barrel. Can handle vary small to medium size parts. Inbuilt media to parts separation possible. Economical for general purpose work, heavy deburring, continuous processing, and continuous inspection. Noisy unless Sound Cover is provided. Can handle small to very large and very long parts. Dividers for part to avoid impergment. Noisy unless sound cover provided. 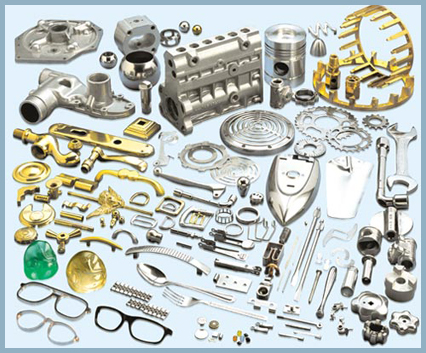 External material handling generally required for large parts. 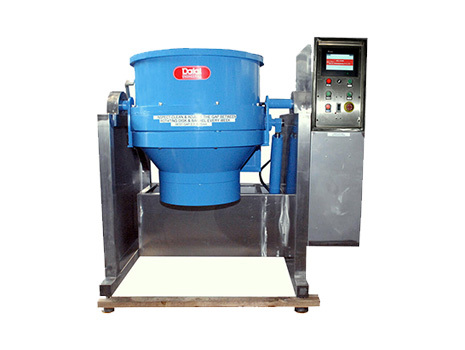 Process time significantly less than Vibratory Finishing Machine. Versatile, can handle fine finishing to heavy stock removal. Can handle precision and thin parts. Suitable for very small parts only. 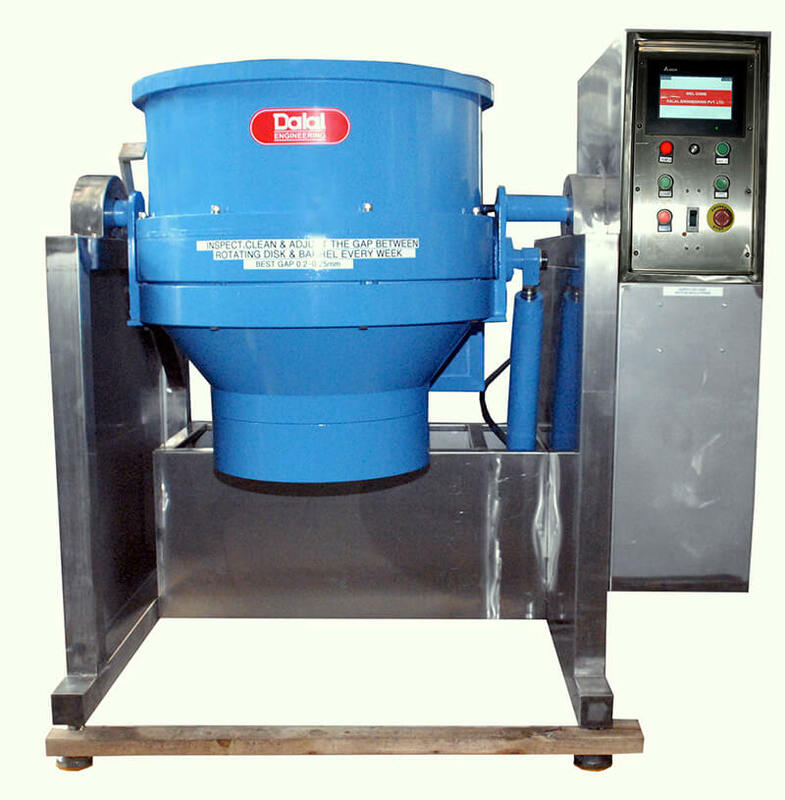 Process time significantly less than Vibratory & also Disc Finishing Machine. 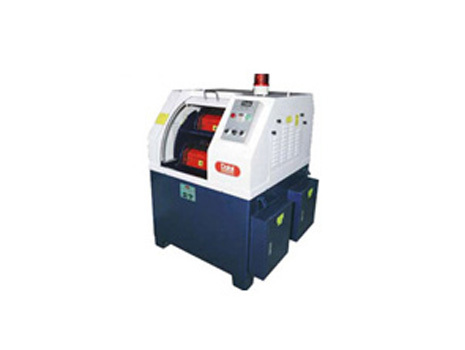 Finishing better than Vibratory & Disc Finishing Machine. Versatile - can handle fine finishing to heavy stock removal. Suitable for small parts only. Loading & Unloading is time consuming and laborious. Cannot handle very long parts. 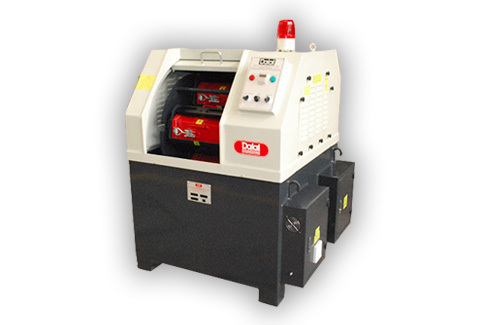 Vibratory Finishing Machines are mass finishing machines, used for deburring, polishing, descaling, and surface improvement on metal and plastic components. 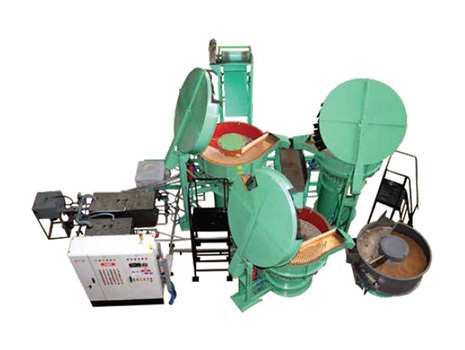 The machine has a steel bowl lined with rubber or polyurethane which is filled up with required media (either ceramic, plastic, maize etc. depending upon the finish required) and components. Eccentric weights are mounted on an extended shaft attached to a heavy duty motor to cause vibrations and create a spiral of the media and the components. 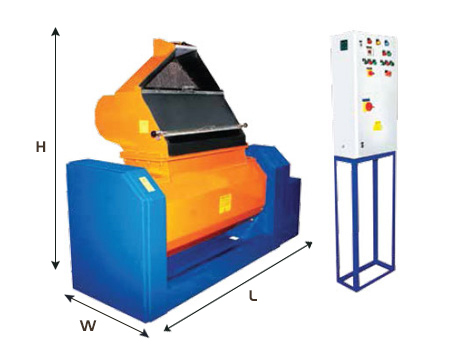 Variations in vibration, achieved by varying weights and angles, and suitable combination of media enable machine to be used for different components. Effective motor position for Superior Vibration. High tensile nut bolts for longer machine life. Complete bowl lined with cast Polyurethane including separation area. Polyurethane corrosion resistant paint for longer life and better aesthetic. Easy opening media discharge plug for quick change media. Can handle very small to large parts. Batch or continuous operation. 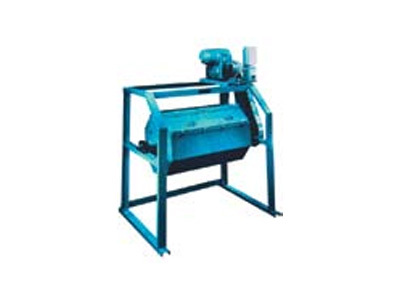 Economical for general purpose work, heavy deburring and continuous inspection. 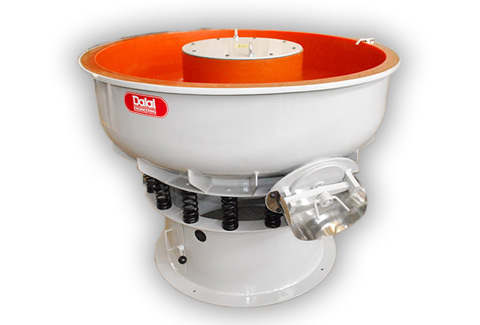 Centrifugal Finishing Machines are high ‘G’ force machines specifically developed for smaller components, and for those that require long process times in Vibratory Finishing machines. Smaller machines have removable barrels, while larger ones have fixed barrels with provision for barrel and turret inching. There are several options available -- straight barrels, inclined barrels, removable barrels (for small machines), variable speeds, media parts separators, inching arrangements, rubber/polyurethane linings, conveyors, etc. 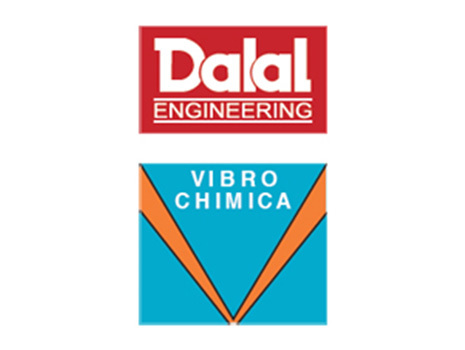 Dalal Engineering has entered into an agreement with Italian specialists Vibrochimica, for manufacture of Centrifugal Disc Finishing and Rapid Ball Burnishing machines. Vibrochimica, founded in 1972, is one of the foremost European manufacturers of Vibratory Finishing Machines and Systems for the surface treatment and mass metal finishing markets. The company is located in Liscate, Italy near the Milan-Linate Airport. 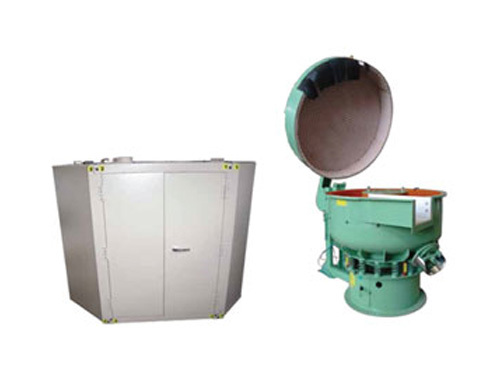 Their product range includes Round Bowl Machines, Tub Machines, Ball Burnishing Machines, Centrifugal Disc Finishing Machines, Vibratory Dryer, Through Feed Continuous Machines, Waste Water Treatment System and fully automated High Tech Installations. Disc finishing machines are also high ‘G’ force machines which work faster due to the centrifugal force generated by a rotating disc. The centrifugal disc machines are designed for optimum disc and chamber life with greater thickness of polyurethanein the high wear areas. A special sealing arrangement ensures a longer life of rotating disc and does not require frequent gap adjustment. 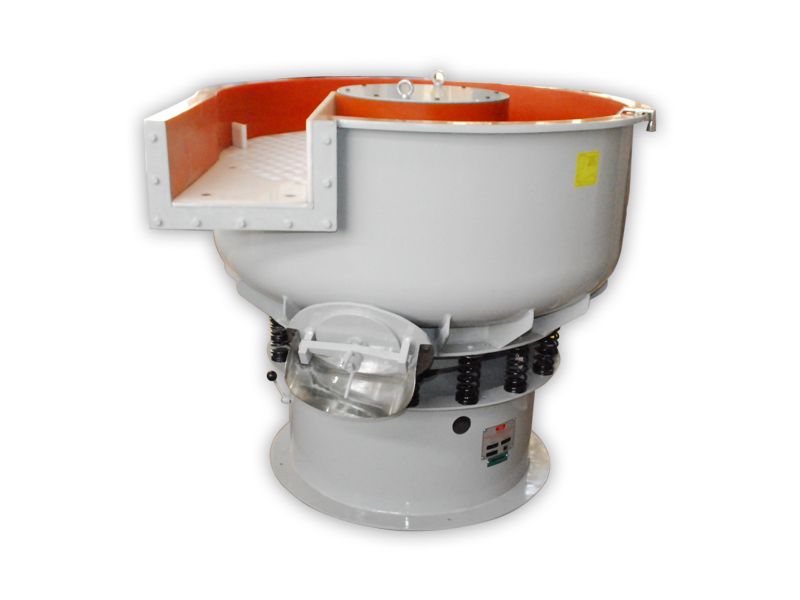 Discharge of the work mass can be done manually or by an automatic tilting arrangement. The advantages of Disc Finishing over Centrifugal Finishing are the greater ease of loading and unloading and the possibility of In-process inspection of parts. Process times are significantly lower than Vibratory Finishing Machines but somewhat more than Centrifugal Finishing Machines. Rapid Ball Burnishing machines are the best solution for polishing of components where there is need of a high production / short process time. 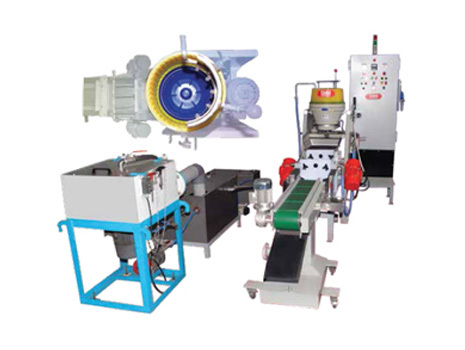 These machines can work in batches for polishing of small and medium sized parts. These machines have a high frequency technology where the total process times are between 10-20 minutes. 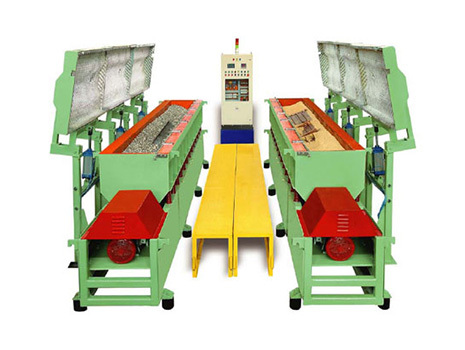 These machines work in batch for burnishing of ferrous & non ferrous components. They have a unique tilt separator inbuilt for 100% separation of parts within 2-4 minutes and further for the auto return of media back to the burnishing tub. 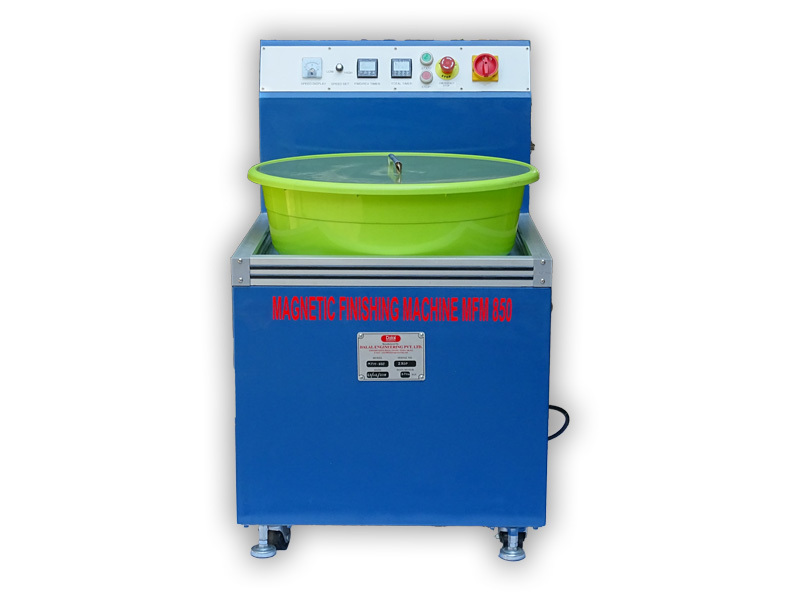 Vibratory Tub Finishing Machines have rectangular working bowl with either straight or curved side walls based on the application. The system cascades mixture of media and components in the Tub, producing relative movement between the two. This results in efficient processing of components. 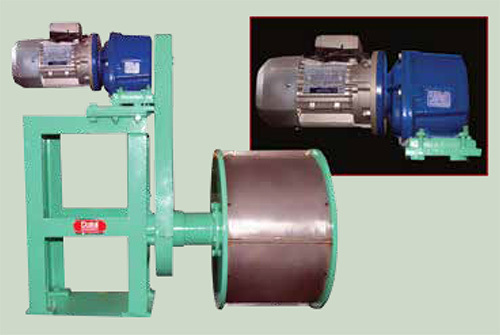 Vibration can be adjusted with eccentric weights and systems can be batch type,customized as per needs. 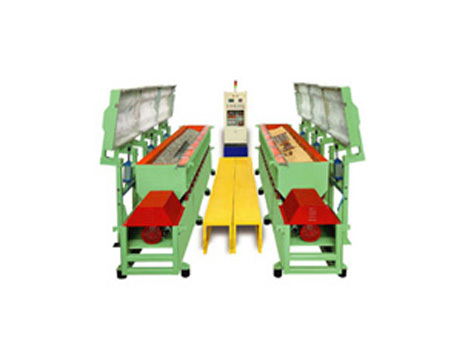 Dalal Magnetic finishing machine makes use of innovative magnetic field power to move the steel media rapidly. For deburring, polishing, descaling and cleaning of nonferrous parts. 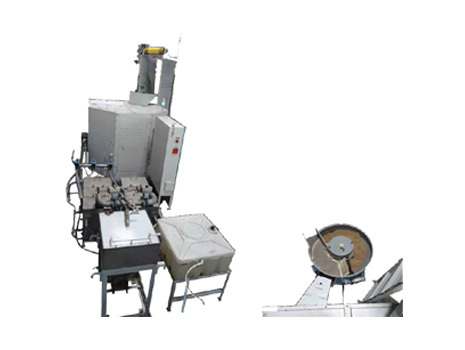 The steel media, work pieces and the polishing chemical are put together in a container which is placed on the machine. A powerful magnetic field is generated which results in moving the magnetic steel pin media over the parts to achieve the designed results. Excellent deburring and edge chamfering. Good for irregular shaped parts, internal holes, etc. No deformation, No surface damage. No effect on accuracy of parts. Short process time 5 mins to 15 mins. Able to work in difficult to access areas such as recess, slots and blind holes. 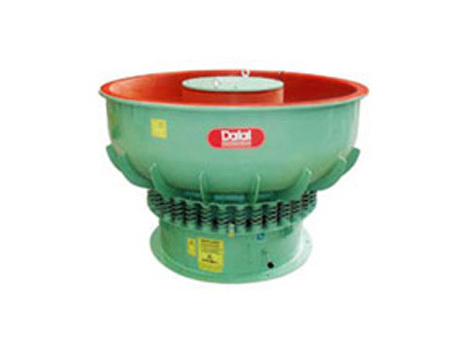 Dalal Vibro Dryers are designed for stain free drying and polishing of components, immediately after vibratory/centrifugal finishing. Heated Maizorb/Corncob is used as the drying media. The rubbing action of the mass eliminates the calcareous residuals of the evaporated water deposited on the surface of the parts. The equipment is offered in, both, batch and continuous operations. Can handle small to medium size parts. Excellent cascade to eliminate calcarious residuals of water. Mass finishing is becoming increasingly sophisticated in order to provide a high level of productivity, reliability and consistency of quality as demanded by industry. Dalal Engineering with several decades of experience in mass finishing offers customdesigned Automated systems with integration of operations like loading, washing, chemical dosing, sound dampening, finishing, separation, drying and waste water treatment. The system can be controlled by PLC with detail process monitoring and controlling all aspects of the process. 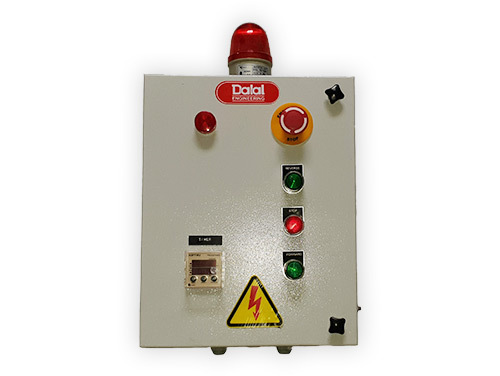 Dalal Engineering offers automation with the use of latest technology to reduce the need of human work. Higher Productivity and higher output have been the major factors for the increasing demand of automation in the finishing process. Though many may claim that a human can achieve consistent finish using machines, there is definitely an increase in the consistency of finish after every batch with efficient automation. 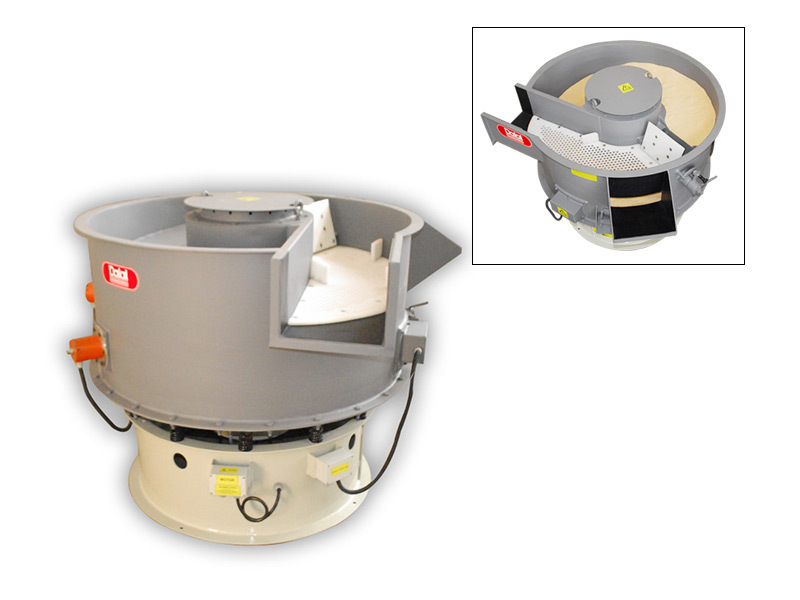 An Automated System with Vibratory Finishing Machine kept in a sound proof cabin integrated with Vibratory Dryer. 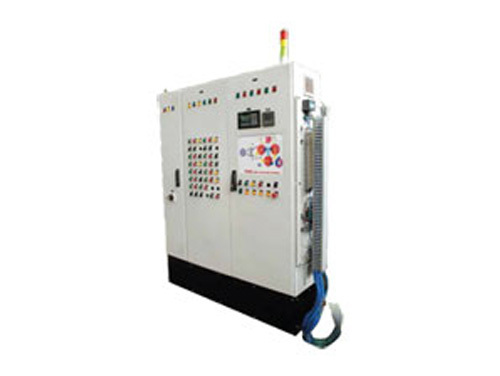 The system is provided with auto loader, waste water recycling system, auto dosing unit and the whole process is controlled by PLC Control Panel. 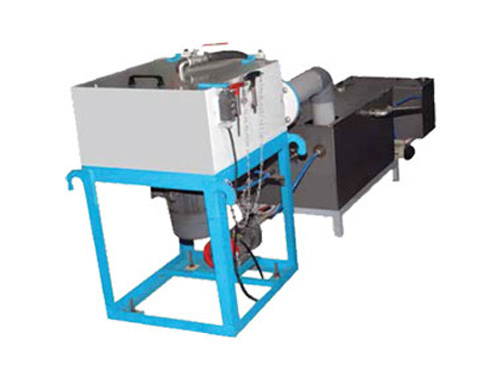 An automated system consist of Centrifugal Disc Finishing Machine with auto tilting mechanism to unload the parts, component washing provision, broken media separator, magnetic separator with demagnetiser for 100% separation of parts and waste water filtration and recirculation system. The whole system is automatically operated. To increase the attention towards ecology and environment, Dalal has introduced a waste water filtration and recycling system. It is an automatic and economical water treatment system with easy application and without need for specialised manpower. The system consists of one sedimentation and one clean water tank. The dirty water is passed through a high speed filtration system for removal of suspended solids and then cleaned water is collected in clean water tank. For workers safety and to meet factory sound norms, mass finishing equipment usually requires noise protection measures. 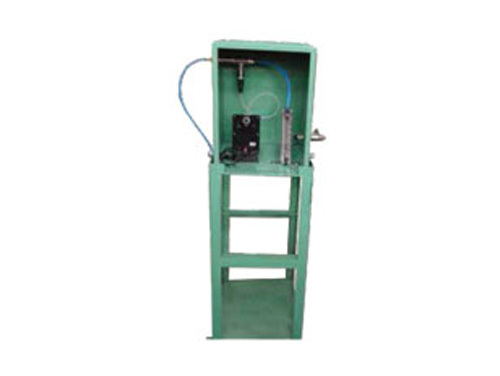 Sound Cover – Noise protection cover of single machine with a manually or pneumatically operated hinge type cover, covering only the top of the machine. Bin type loader required for transfer of parts from customer bins into the machine. The loader can be customised for component bins used by customers. Efficient, Easy loading & unloading of parts without damage, Heavy Duty and Economical. 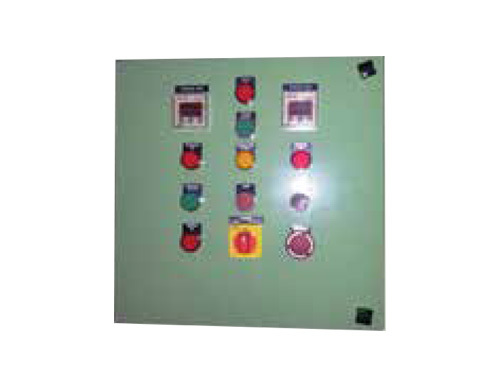 A full automation of the system can be done with PLC Control panel where manual intervention is not required. The panel works with touch screen or line display and has HMI with feather touch buttons. Generally used for Separation from media of ferrous components having similar size. These can be separated magnetically. 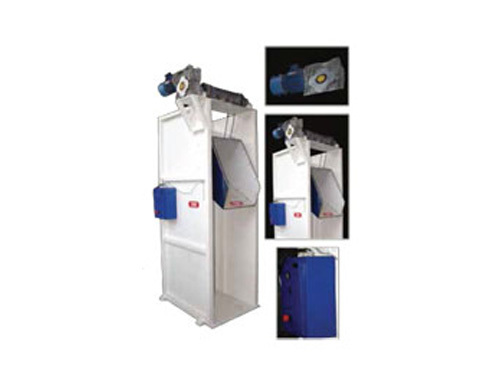 Magnetic separator can have a inbuilt demagnetiser and in some cases can be used to convey components to the next machine /dryer. With starter and timers as required. Upon request it is possible for install a variable speed drive to control the RPM of the vibrating motor. 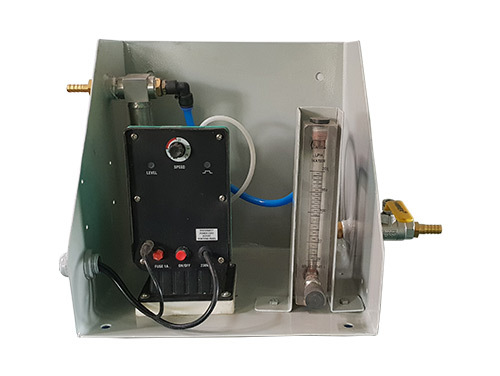 Dosing of right quantity of water and compound is necessary for successful surface finishing.The controlled flow of chemical and water is done with dosing pump and rotameter housed in a mild steel cabinet. Dosing unit can be integrated with an automatic system with the help of PLC. Correct choice of media and chemicals is critical to proper surface finishing. Dalal Engineering has a partnership with Sharmic Engineering of UK for processes. This helps Dalal to develop specialized formulations to meet specific industries and metallurgies. A highly advanced R & D lab decides on the selection of media and chemicals based on the type of material and its geometry. Different types and grades of media ranging from ceramic, plastic, steel, glass to corncobs etc, each with varying abrasive strengths are available. These may be used in combination with highly developed chemical formulations which contribute to the deburring and polishing process, keep parts and media clean, prevent media impingement and assist in achieving the desired finish. Our machines are sturdy and built to last. With proper care and maintenance, they are technically capable of a long life. With our commitment to provide total solutions, the Dalal team undertakes all types of services related to complete Repairs and Relining of equipment. The aim is to make the machines last as long as possible, and we do not recommend purchase of new machines unless absolutely necessary. What’s more, we provide repairs and reconditioning services even in the case of finishing machines that have not been manufactured by us. To provide a complete process solution, finishing process needs to be developed. Here we determine the best finishing process. 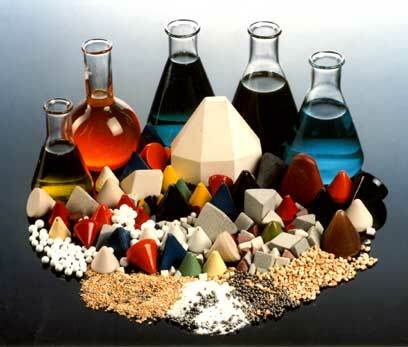 We also have a wide range of Ceramic, Plastic, Steel, Walnut, Corncob media and over 60-75 different chemicals & pastes. Barber Razor blade manufacturer was manually polishing SS Barber razor’s and after polishing had to do additional process of cleaning the buffing dirt. A reputed brake lever manufacturer were brake the levers for high gloss finishing on installing a special ball burnishing machine the manual buffing was eliminated with a good finish in the recessed area’s 6 persons from the buffing section were reduced.